When last we left our Bulls, after a second consecutive loss for the first time in more than a year, they were dangling from a metaphorical rope that apparently represented their suddenly shaky bond of excellence. Would Derrick return and lift them? Could Lu keep it up and pull his teammates back from the brink? Was Rip torn? 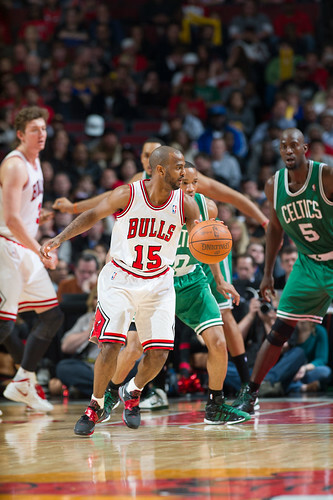 We had to tune in Thursday on TNT for the next chapter of the Perils of Thibs’ Thirteen. 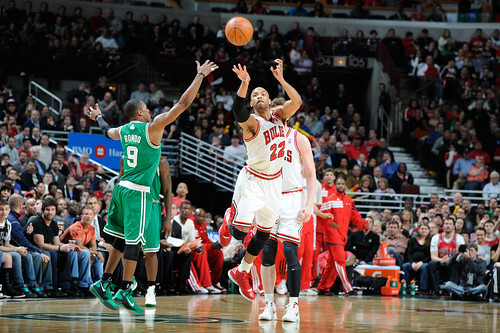 And at least until the next episode in New York Sunday, the Bulls survived with a strong second half comeback from a 13-point deficit for a 93-86 victory over the Boston Celtics. “We let go of the rope,” said Celtics coach Doc Rivers. 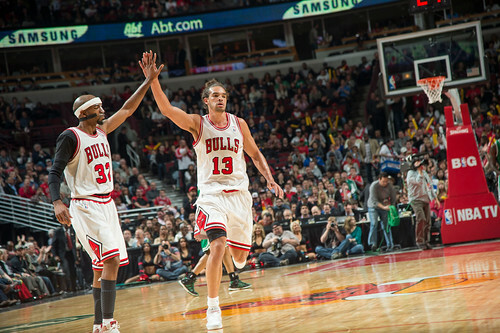 So, at least for now, the Bulls have strengthened their hold on first place in the Eastern Conference at 43-13. 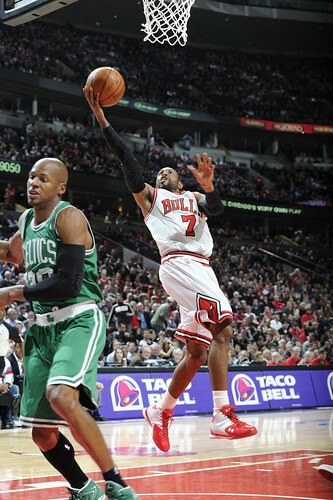 Rose said prior to the game he expects to play in New York Sunday, Richard Hamilton looked better in the second half with a strong third quarter to lead the Bulls back from a 49-38 halftime deficit, Luol Deng led the Bulls with a season high 26 points, winning his matchup with Paul Pierce, Deng’s fifth game in the last seven with at least 20 points, and an energetic and enthused Joakim Noah had the measure of rival Kevin Garnett with 17 points, nine rebounds and three blocks. This actually was a major discussion of some import with the media afterward. Was it “poopy” or “poo poo.” Noah didn’t make that as clear as he should have, and I was so personally distracted at the time I forgot to ask Hamilton why he changed from a red to white head band to open the second half. He did shoot one of six with the red one and three of five with the white one. If this is all too technical, I apologize. Sure, Noah was one of the few Bulls who even realized it was a late, 8:30 p.m. start for national TV as he was about the only Bull who showed up in the first half. Metaphorically speaking, of course. Noah had 11 first half points, made all his field goals and free throws, had six rebounds and two blocks while Pierce was making a mess of Deng and Hamilton (three of 15 combined) and the Bulls with 17 points. Apparently there was some talk about poopy faced play and poo poo faced play, though I cannot confirm that for not having been there. Though I did go to the rest room. 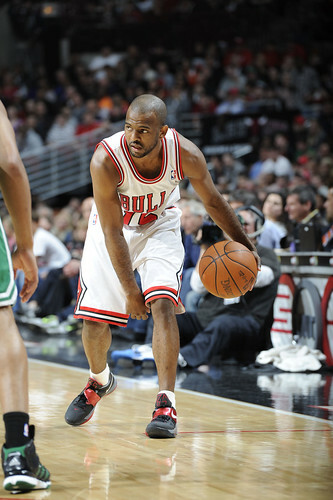 “At halftime, we said we’ve got to pick it up and play like us,” said Carlos Boozer, who had 12 points and 14 rebounds. “The first half we played low energy. Not many stops. We were executive plays, but at a slower place. The second half. That’s how we play. We hadn’t been playing like that the last week or so or two weeks. Hopefully, that jump starts us the rest of the way. That was fun. Everyone enjoyed it. It really is a coach’s dream when the players take ownership, and that seemed to occur. The Bulls hadn’t played much like that the last few weeks even if they’d won six of nine before Thursday. They’d only scored more than 100 points once, that in the overtime win over Toronto, which barely tries much of the time. They’d been blown out twice, the worst losses of the season, lost two straight for the first time since early February 2011 and generally been in a malaise, though impressively still holding onto the league’s best record. But it’s been kind of a “dog days” all over the league hitting 50-some games and the playoffs now in sight. Sort of time to scoop up the poop and be done with the regular season mess. Top teams like Miami and Oklahoma City were taking losses as well, and perhaps the Bulls felt a little weary without Rose. They are now 15-7 this season without Rose and 8-4 in this stretch with his groin injury. So he could be back Sunday for the New York national TV game, which would unite the starting lineup for just the 11th time this season. It was fun for the Bulls after halftime as they dominated Boston everywhere on the court, rebounding 24-16, inside points 16-6, four blocks and five steals and five of 10 threes and timely scoring from slumping C.J. Watson and Hamilton in the third quarter and Deng in the fourth. Deng’s baskets were perhaps the biggest as with the Bulls fighting off Boston and hanging onto an 81-77 lead with under five minutes left, Deng went at Pierce for a pair of jumpers, sealed Rajon Rondo on a switch and scored on a floater and got out running for a layup after a Noah block on Pierce. That came just before Noah forced nemesis Garnett into a bad, fadeaway jumper with a great, individual defensive stand that would lead to Deng’s floater. 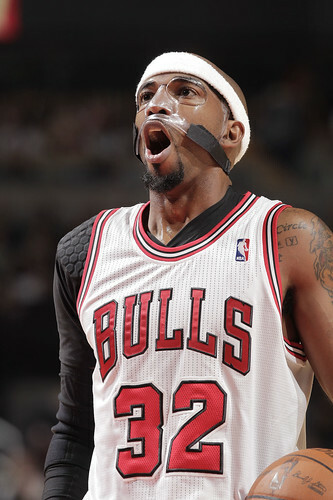 That sequence gave the Bulls an 89-81 lead with 2:20 left. 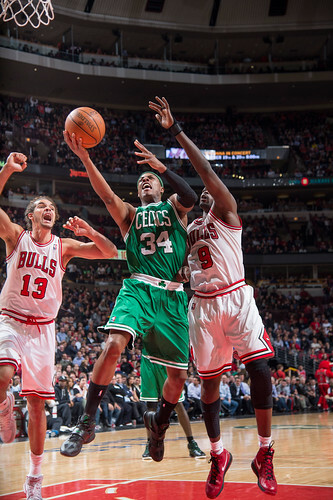 A frustrated Pierce then launched a wild three that missed everything and on the other end the Bulls impressive teamwork and hustle showed up the Celtics. Deng faked a shot with Pierce playing good defense. 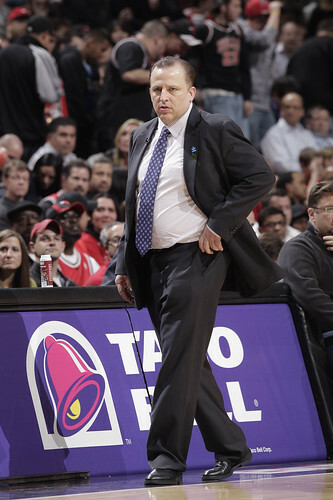 But Pierce, unlike Thibodeau’s teachings, didn’t make the multiple effort. 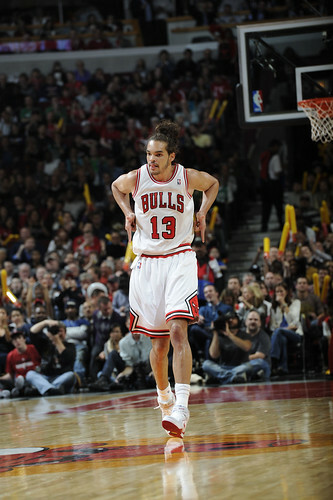 He stood on top as Deng gave up the shot but passed to Noah. Deng then cut to the basket and got a bounce pass from Noah. 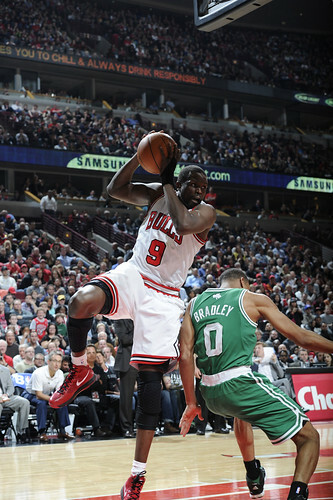 The middle began to close on Deng, who then laid the ball off to Boozer for a slam dunk and 91-81 lead with 1:42 left. That was pretty much the game, though Boston trapped the Bulls into a few questionable decisions and shots, though never getting close enough that the Bulls would be at the end of their rope. 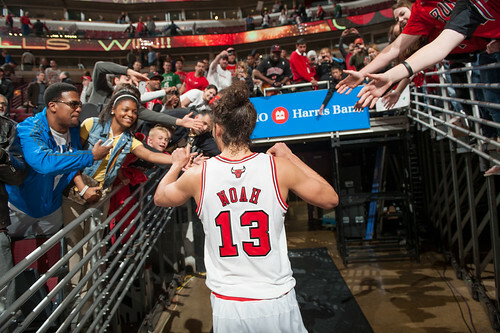 “We played more inspired and a lot hungrier basketball in the second half,” said Noah. “It’s us. When we lose or don’t play well, it’s more because of us than the other team. When we’re playing hard and playing for one another, we’re a different team. Lu was huge. Rip was huge. I think our energy in the second half overwhelmed them. You play to win the game (this is where Noah started his Herm Edwards impressions)! You play to win the game! 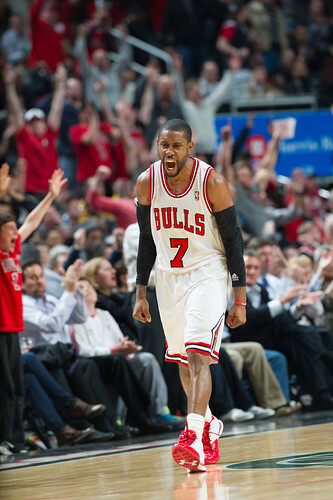 The Bulls’ second half probably was their best effort since wins over Atlanta and Indiana, the latter in early March. It’s been more often a stumble of poor shooting with wins stitched together with dominant interior defense and board play. But that is difficult to sustain with erratic shooting and poor guard play. Watson had had difficulties of late shooting. He was just five of 16, but he did make a couple of big shots midway through the third quarter to give the Bulls their first lead since four minutes into the game. That was Watson’s pair of threes when first Boozer snared a loose ball and fired out to him and then with Ray Allen losing him on defense. Allen came off the bench for just the fifth time in his career as the Celtics went with a small, defensive oriented backcourt with Rajon Rondo and Avery Bradley. But the Bulls would take advantage of Rondo, who tends to play the passing lanes looking for steals and runouts instead of fundamental defense. 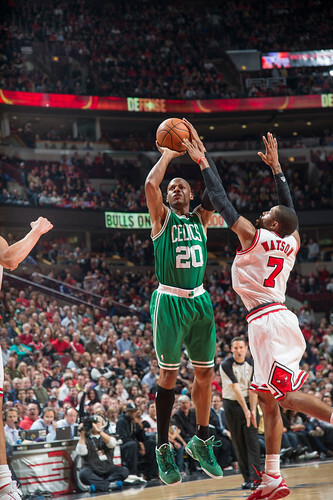 So the Bulls suckered Rondo several times into the middle only to find his man open for shots. Actually, the entire Celtics effort infuriated coach Doc Rivers, who really has done a remarkable job with a team with numerous players out for the season and its management talking about trading virtually everyone. Boston is now 30-24 after 15-17 going into the All-Star break. 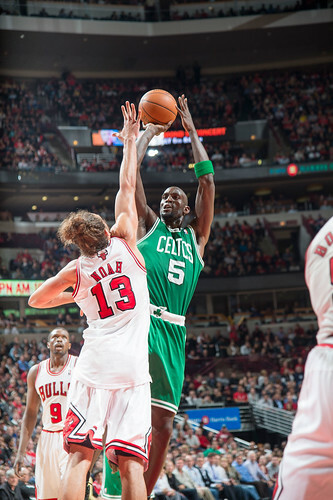 Garnett has had to play center with Wisconsin’s Greg Stiemsma, a minor league refugee, first off the bench. But after Boston had that double digit lead most of the first half and lost it, Rivers lost it some as well. Though it seemed part motivation as Boston lost a tough game to the Spurs Wednesday night while it was the Bulls who came out the tired team despite two days off. 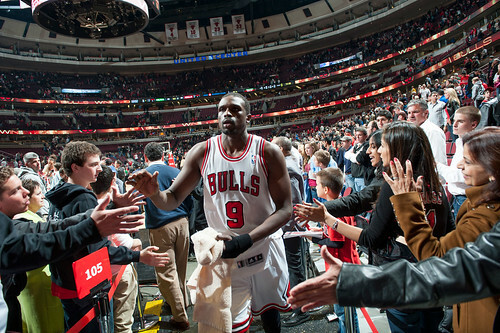 But so was Deng, who has been a savior of late with Rose out. 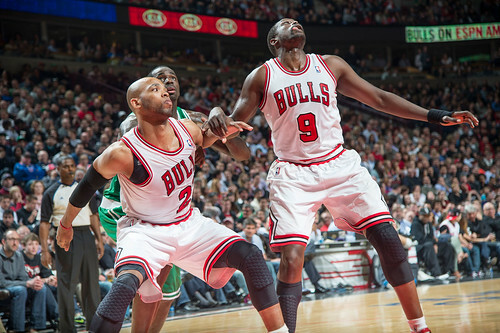 The Bulls search desperately for scoring without Rose. 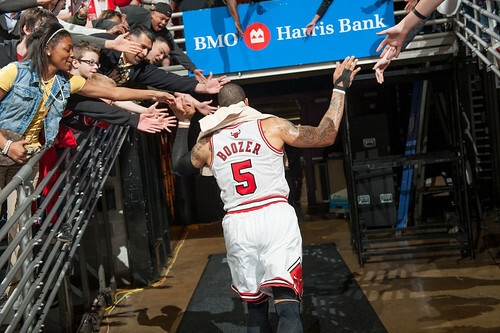 Boozer gives them some, and Hamilton will. But without Rose there’s no true so called go to guy to get you a basket. 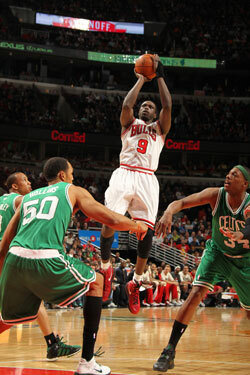 Yes, Deng made the All-Star team, but we know his game is to play off other players, more, work, hustle. But without much notice, he’s begun to do what we said he couldn’t, which is take guys off the dribble, make big shots in the fourth quarter. It turned out to be too much. 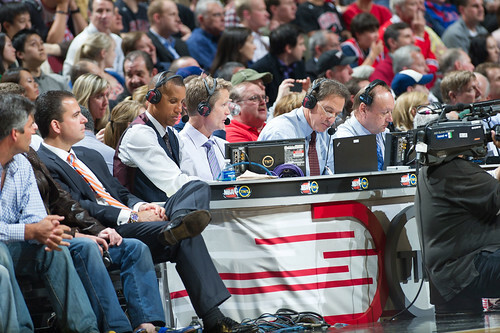 Which was fortunate for the Bulls after a phlegmatic first half during which against a smaller and road weary Boston team the rebounds were even and Boston was dominating on inside points with Pierce making a mockery of the Bulls defense. Boston took a 49-36 lead late in the second quarter with Boston, playing a second of a back to back and most of their players eligible for Social Security, outrunning the lethargic Bulls. It was time for a talking to, and it was so bad they gave it to themselves. The actor/comedian Bill Murray was at the game and perhaps Noah was inspired by Murray’s famous “doody” pool scene in Caddyshack when Murray’s character, Carl, eats a Baby Ruth that after floating in the water looked like recent Bulls games. But after that nothing can be sweeter than the smell of a Rose.